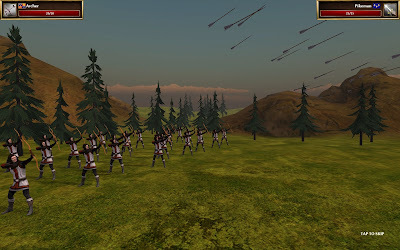 I am a big fan of strategy games, and while I certainly lean towards fantasy fare over the years, I actually first cut my teeth in the genre on historical games such as Nobunaga's Ambition and Romance of the Three Kingdoms. Broadsword: Age of Chivalry gets a few things right along the way, yet it never manages to distinguish itself as a compelling entry in the turn-based strategy genre. Your primary setting is that of the Hundred Years War. Plenty of games have used this as fuel for their scenario, pitting the French against the English. Here you can choose to side with either army. Both have distinctive feels, though the paths you take through each are incredibly linear. 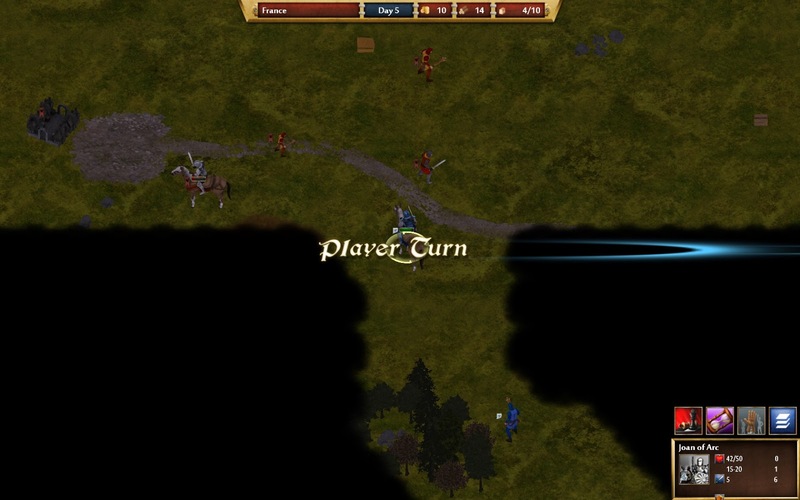 In many ways, this is indicative of Broadsword: Age of Chivalry's biggest fault - it just does not do a great deal to hook you in on what is happening. The strategy components are all quite well-balanced and the game itself run smoothly. Lower end PCs will be able to operate it due to the adequate if simple visual details. Animations are effective if basic, but units really lack distinguishing features. This can make it somewhat difficult at times to tell one of your allied units apart from another, even if they have wholly different functionality. The good news is the units themselves and map are distinctively colored, so it is easy to see all of the units on the screen - I hate when a unit blends and I miss it because of that and as a result make a huge tactical blunder. The combat itself is handled well, which is good since the majority of your time will be spent battling from one map to another. The click and drag interface is easy to learn, but that makes sense since this title is based on an android title that has been out for some time. The gameplay is accessible and moves along at a pretty solid clip. Unfortunately there is a lack of reason to get hooked into the game itself. You slide from one mission to the next, with little actual storyline and none of the overall storyline choices or between scenario management commonly found in strategy games these days. The end result is a rather linear experience that provides solid enough tactical gameplay, but a shortage of reasons to become vested in why you are playing. I admit that I am someone who looks for story in most of my games, and what we have here is not terribly compelling except for those who are just really fond of the time period. 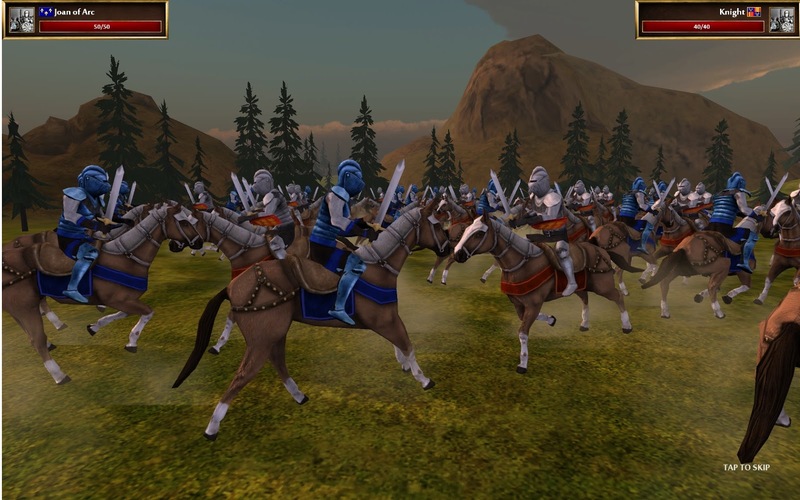 The saving grace might have been multiplayer, because it is a solid enough competitive mode - but Broadsword: Age of Chivalry only offers local multiplayer. The lack of online really limits the number of options available to players, and hurts the potential replay value to be found here. Some sort of online mode with some leaderboards would have at least given those who are fond of the combat itself a reason to come back to the game for competitive reasons. This feels like a missed opportunity. Broadsword: Age of Chivalry is not a bad game, but you can get better for the price. The strategy components are well done and the presentation is solid if unspectacular. However, the content itself is rather linear and lacks replay value for those who are interested in more than just the combat from one mission to the next. Nothing is inherently broken or wrong, but I love the genre so much that I admit I was hoping for more from this particular entry.